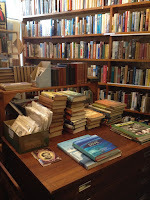 A month or so ago, a bookshop contacted me on Twitter inviting me to visit them. This happens every now and then, encouraging me to move that particular place up the must-visit list, and has eventually prompted me to enjoy some great days out. This time the invitation was different. As well as asking me to come and visit their bookshop, the bookseller was also inviting me to visit six of their neighbours. 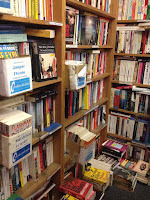 They'd suggested a route, a date – Shakespeare Day – and even offered to put me up for the night because their bookshop in Stockton-on-Tees was a bit of a way from my home. The email arrived at the perfect time. I had been struggling to decide where to go for a bookshop crawl for the Bookseller's Association's Bard A Bag Day and was also very aware of how unbalanced my north/south coverage is. I accepted the invitation and set off on the 300-mile drive north. First stop was the loveliest bed and breakfast I've ever stayed in, which had been recommended by its local bookshop. This blog isn't about hospitality, but if any of you are ever looking to stay in Ripon I suggest giving Box Tree Cottages a call. 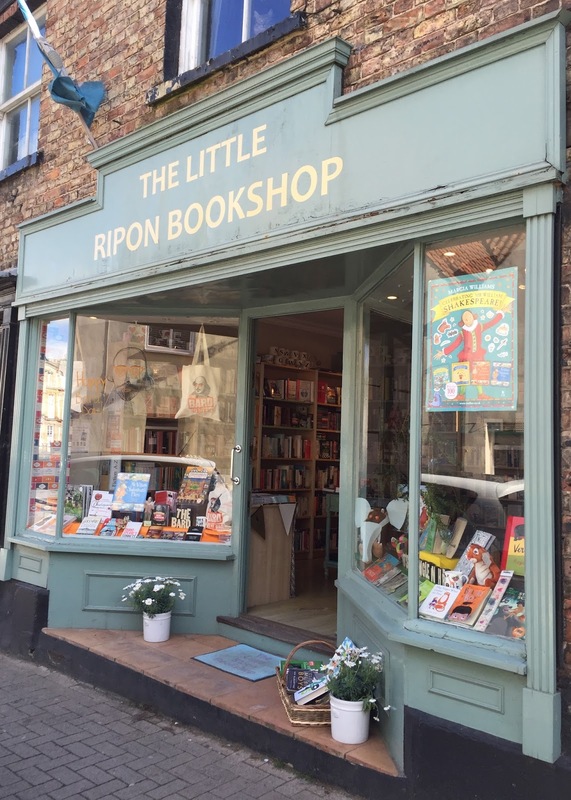 The following day, arriving at 9.05am, I wasn't the first customer through the door at The Little Ripon Bookshop and it's easy to see why it would be popular. A bright, colourful and very friendly place, with the bookseller wearing a home-made Tudor ruff (he claims his daughter insisted), this is a bookshop to have fun in. 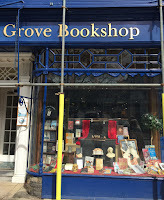 The bookseller and I explored the Shakespeare insult generator, talked bookshops and the Gruffalo and I bought a book inspired by the non-Bard side of their window: Rudyard Kipling's The Jungle Book. I also bought a book flower. Next up was Castle Hill Bookshop in Richmond, which had a Shakespearean-themed window of bookshop-made literary quote bunting. 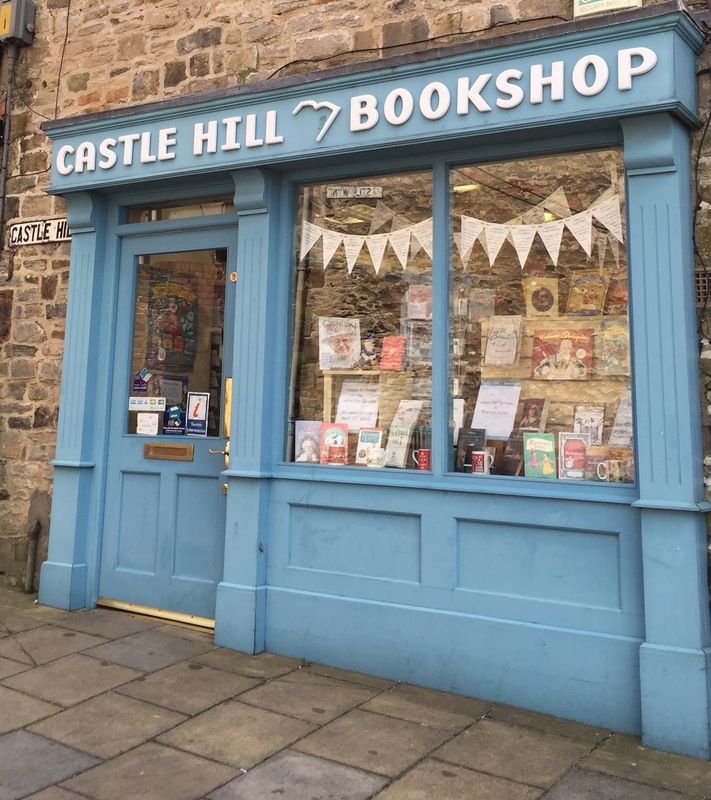 Located – obviously – almost next door to a large castle, this stop is very proud of its Yorkshire home, with the county or country life celebrated in every section of the bookshop. It had me wanting to set off and explore the Dales or move north to become a farmer('s wife), and so tempting were the themed books I was encouraged away from the fiction section to buy Meadowland: The private life of an English field by John Lewis-Stempel. 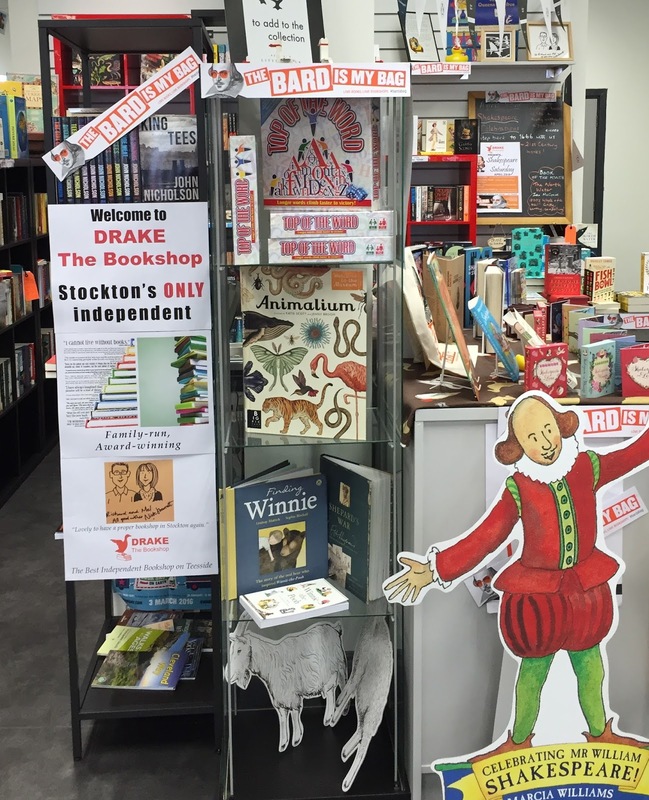 DRAKE – The Bookshop in Stockton-on-Tees, which was responsible for inviting me north in the first place, came next. I'll be honest, I wasn't sure what to expect about a bookshop based in an open corner unit of a shopping arcade, but the moment I entered that arcade I knew I'd found something special. 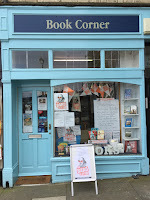 The bookshop's crammed with personality, a good variety of books and obviously appeals to young and old shoppers alike. Throw in the Shakespeare-related fun, cake and non-alcoholic mead and I was even more happy. Here I picked up Fishbowl by Bradley Somer, partly for the story, partly for the clever illustration down the pages. A short drive away was The Guisborough Bookshop in the town of the same name. The largest place on my trip, this is half bookshop, half card shop and could possibly have housed all three of my previous stops and still had room to spare. The children's section was particularly busy but I was drawn to the long wall of fiction, where I was pleased to find Kazuo Ishiguro's The Buried Giant. 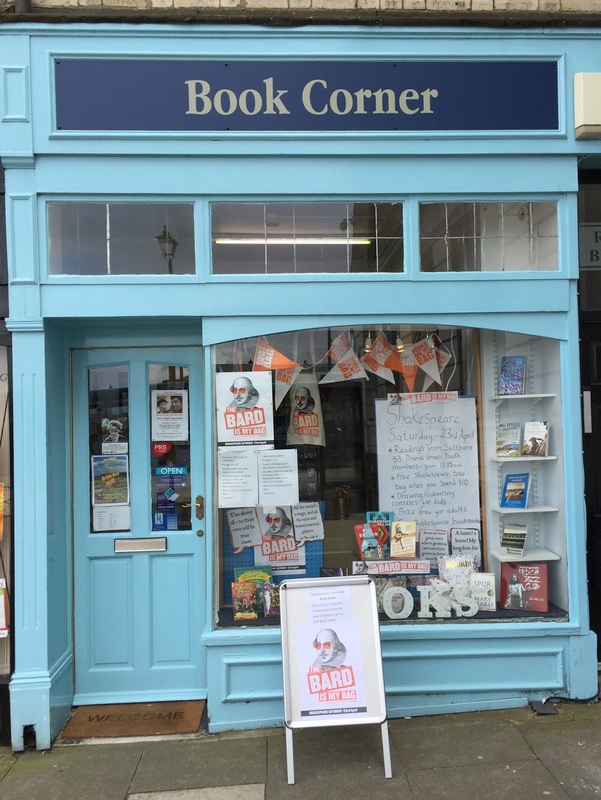 The final stop on day one of my Northern Bookshop Adventure was Book Corner, in the coastal town of Saltburn. Also the smallest place visited, this bookshop proves good things come in little packages and does an excellent job of making every corner count without feeling overcrowded. 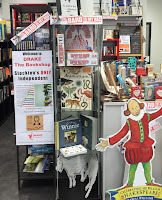 I resisted trying on the Shakespearean costumes and instead enjoyed talking to the bookseller about her shop (which is two years old this week – Happy birthday Book Corner Shop!). I bought Our Endless Numbered Days by Claire Fuller, before taking a break from bookshopping to enjoy a particularly brisk walk along the nearby pier. Day two saw me head south to Thirsk, and a bookshop I've long wanted to visit: White Rose Book Cafe. At the time of my arrival the town was celebrating the Tour de Yorkshire with an incredible display of yarn-bombing, with even the bookshop window joining in the fun. Another large destination, White Rose covers two floors and includes a dedicated reading room and a cafe, where I sat and enjoyed the atmosphere over a very welcome coffee. My purchase was Long Way Down by Nick Hornby. The last official stop on my adventure was an old friend. 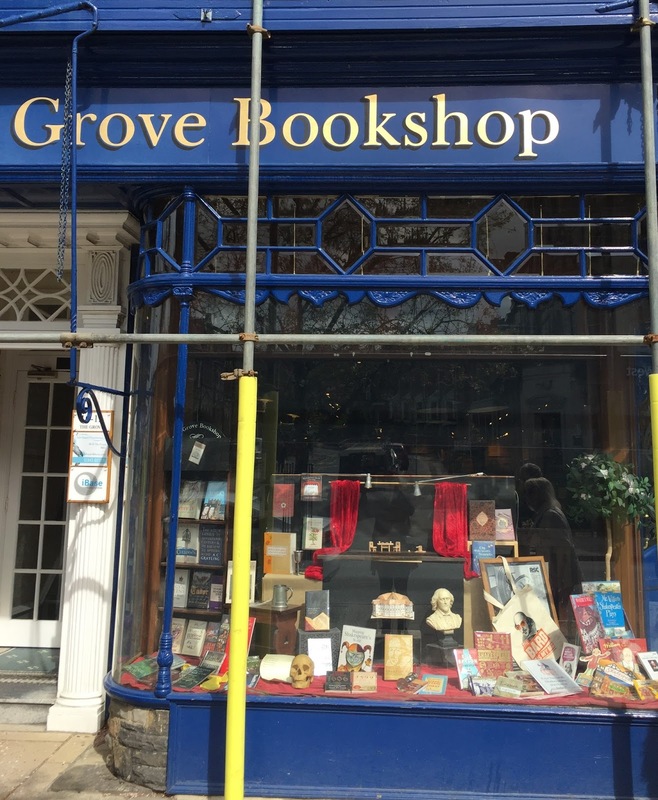 I had previously visited and loved Ilkley's Grove Bookshop and it again lived up to expectations as a friendly, warm and welcoming haven for readers. From its window display demonstrating all the world's a stage to the gentleman bookseller on hand for just the right amount of book chat, you can't go wrong if you pause for a visit here. And please don't let the scaffolding in this picture put you off. On this occasion I bought the second Neapolitan novel by Elena Ferrante: The Story of a New Name. The thing that struck me most about this trip is how different each of the bookshops is. For the moment you'll have to take my word for it, but as I take the time to write about each place in more detail I hope you'll see what I mean. 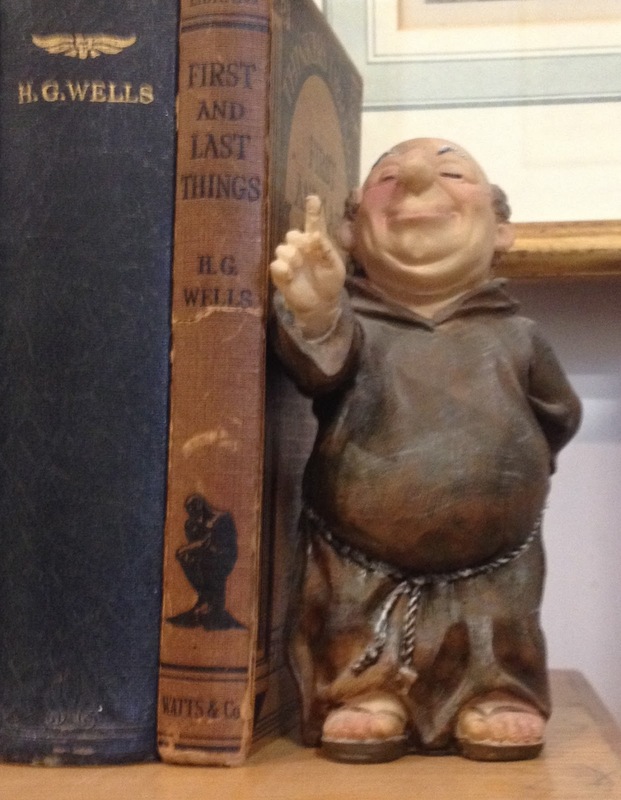 For now, I'm simply pleased to have accepted that invitation to set out on a Northern Bookshop Adventure. It was a brilliant opportunity to enjoy a weekend away and meet a really lovely bunch of booksellers. * Best of all, it helped to confirm to me just how easy it is to hop in the car and explore a whole different world of bookshops. Look out The North, you'll be seeing a lot more of me. *Is there a collective noun for booksellers? It's not a cool thing to admit, but this week's bookshop is one I take for granted. It's somewhere I visit almost without thinking. 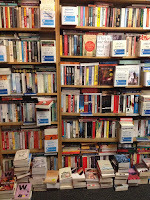 I gravitate towards it and have bought countless books from it and yet it only appeared on this blog because of a visit during The London Bookshop Crawl. Part of the reason for this absence is because the bookshop is such a gem I selfishly wanted to keep it to myself (impossible), but it's also because my visits are often so quick I hardly have time to slow down long enough to take photos. 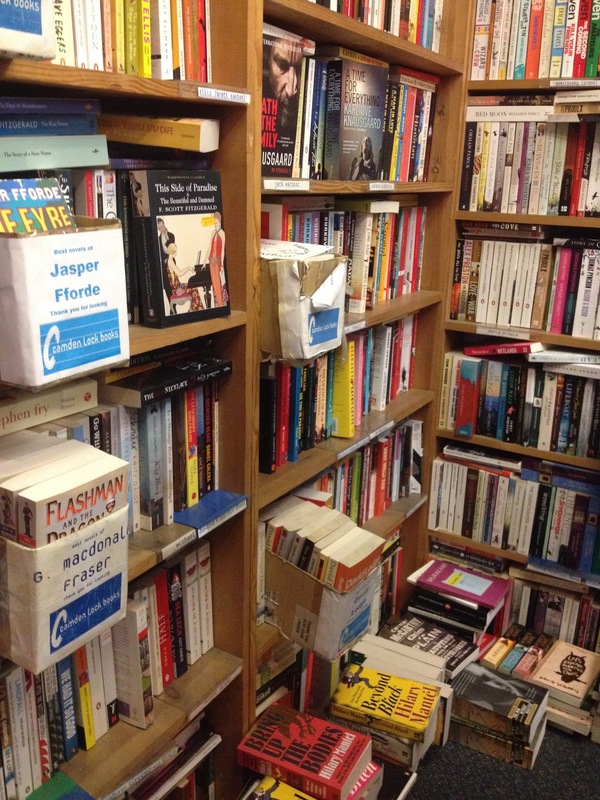 Any Amount of Books is a secondhand bookshop found towards the bottom of Charing Cross Road. It's near many other excellent secondhand and antiquarian bookshops, and around the corner from Cecil Court, meaning it probably shouldn't stand out from its neighbours. But for me this is the bookshop I imagine when I think of the famous book by Helene Hanff. I was first drawn in by the boxes of discount books outside. Large enough to have variety, small enough to not be overwhelming, the boxes offer a random selection to tempt browsers in, or simply remind travellers they'll have a much better train journey if in the company of a good book. My visits generally involve diving in the front door, scanning the fiction shelves to the right, grabbing a book and rushing off to catch my train. I love the way I can quickly dash in and out, rarely needing longer than a minute to spot something unexpected and wonderful. This ease of bookshopping, along with Any Amount of Books' long opening hours, mean it's pretty much a guaranteed quick stop for me during any visit to London. 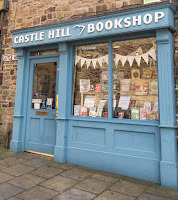 Go beyond that front door, look left, discover the stairs and you find out how much more there is to this bookshop, which isn't nearly as small as its front – or my brief visits – would imply. On the day of the bookshop crawl, our group explored every nook and cranny of both floors, taking in the non-fiction, hunting out the discount titles and spotting a few of the more expensive books on offer. I believe I was the only one among us able to limit their purchase to one book (and only because I've had practice). For me the book of choice was The Search Warrant by Patrick Modiano, but as a group our purchases ranged from classics to crime to non-fiction. It was a great way to visit a bookshop I usually go to alone. Having people to pick out things I'd miss, rejoice over the discovery of titles I'd not previously heard of or simply marvel at the amount of books on offer meant it was even more fun to find myself in such a favourite destination. It reminded me how much I love to share the bookshop experience and made me determined to stop taking this gem for granted. What better way to spend a Sunday morning than in a bookshop? Especially when the book browsing also involves sipping from a glass of fizz. Throw in a lovely bookseller and two authors celebrating the launch of their latest books and there's a pleasantly relaxing time to be had. It was under these circumstances I found myself finally taking a trip south to Rye, a town I've long meant to visit but not quite managed to get to. Until now, when the previously mentioned Guy Fraser-Sampson was kind enough to invite me to the book launch he was jointly hosting with Tim Adler at The Rye Bookshop. Both authors were there to greet current and future fans (of which there were many), talk about their books and generally welcome people. This created a gentle buzz which I always find particularly enjoyable in a bookshop. As for the venue itself, The Rye Bookshop is light and welcoming, with big windows. 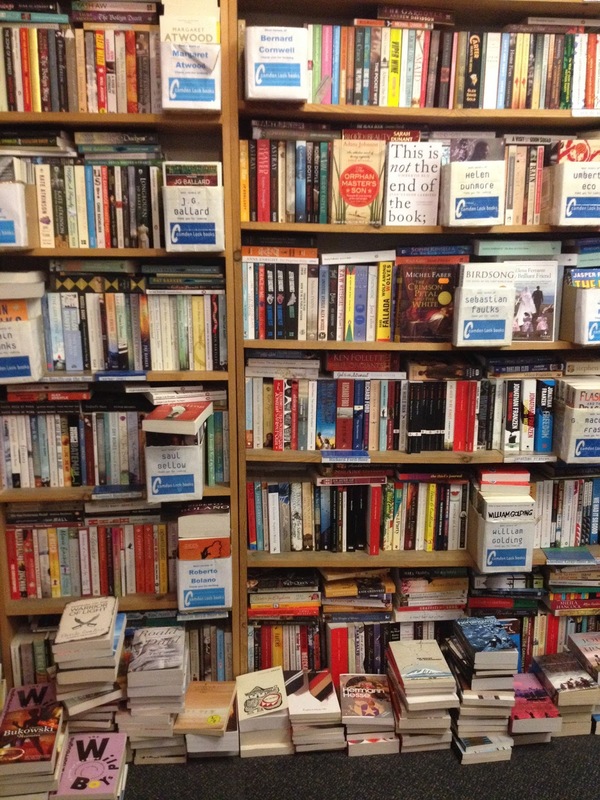 Stock is varied and interesting and recommends tables are scattered across every section, with only the familiar piling of the books giving a hint of the bookshop's national parent. Yes, The Rye Bookshop is owned by Waterstones, benefitting from the backing of a large company while operating independently like a small business. I've previously mentioned a dislike of places masquerading as something they're not but in this bookshop they're honest about who and what they are, which I respect. Would I prefer them to be wholly independent? Yes, but as many readers still insist on shopping online and it was most likely a case of Waterstones or nothing, I know which option I prefer. Sermon over, back to the joy of Rye. My plastic champagne glass and I broke away from the main party, enjoying the buzz from a distance and noting the water bowl for four-legged bookshoppers. At the back I browsed the children's and non-fiction areas, including what felt like an especially large history section for the size of the room. 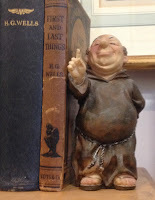 One of many details to emphasise the individual nature of the contents of this bookshop, which are selected by the shop manager who I later enjoyed chatting to. Having already decided I'd be buying Guy Fraser-Sampson's Death in Profile* my browsing was somewhat restricted, meaning I found at least one book from every area and still dithered over breaking my one-book-per-shop rule for Tim Adler's Hold Still. Eventually, self-restraint kicked in and I returned to the party, where I met a delightful selection of book lovers and made sure to get my purchase signed. I may have visited for a special occasion, but returning a few hours later I found The Rye Bookshop to be just as lovely to explore as when it had been full. This bookshop excellently fills its place on the High Street and I'm pleased to have finally made its acquaintance under such auspicious circumstances. *How could I not buy a book endorsed by Christopher Brookmyre, one of my favourite crime writers? For that reason – and more – I know I'm going to enjoy it. Does anyone else have a list of scenes they'd like to act out one day? Or perhaps experiences would be a better word. I'm thinking of specific places they'd like to visit for the purpose of X, Y or Z. For instance, in my head is an image of a picnic at Blackheath. A large, colourful blanket spread on the grass, a basket stuffed with sandwiches and a large thermos flask of wine – no annoying plastic cups. The picnic could either comprise me and Rupert Penry-Jones* or it could be a large group, split into chatterers, small-scale sport players and one or two readers. Were it a twosome, Rupert would naturally be quietly reading aloud, preferably from one of my favourite classics, but I'd be equally happy in the group, quietly devouring my latest novel while occasionally looking up to try to work out whatever game was being played. In reality such a picnic with me and an internationally-famous heartthrob could take place anywhere, and would probably be more suited to one of the smaller, more private grassy enclaves scattered across the capital, but there's something about the large houses lining Blackheath that make me locate it there. Of course, part of the appeal is also the knowledge of its proximity to a good bookshop. Visit the right corner and just across the road you'll spot the bright and welcoming exterior of The Bookshop on the Heath. From the front this looks to be a slightly larger than average bookshop, perfect for if I happened to finish my book mid-picnic. Step inside and you soon realise how visitors to the Tardis must feel. My first view from inside the door was of a cosy entrance to a smart looking secondhand bookshop, but move a few paces towards the till and you see a long wall of books stretching through two rooms to the back. Throw in what felt like a hidden hallway and several more rooms downstairs and there's no way I'll ever mange to stay outside and enjoy that fantasy picnic: the temptation of The Bookshop on the Heath would be too strong. From good quality, interesting hardbacks to general paperback fiction and everything in between I happily lost a lot of time browsing and struggling to limit myself to only one book. 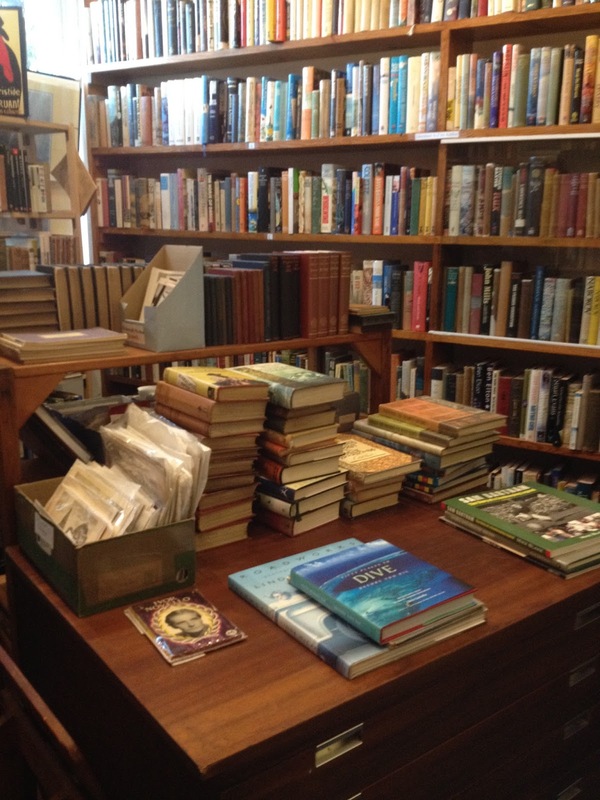 The range of books, in both subject and price, mean this is surely a place for anyone to visit. I spent a long time admiring the children's section near the till, enjoying the bookshop conversations and general friendliness, before taking several turns around the shop and with each circuit a new book or detail would catch my eye. With such a wide variety of stock I can only repeat myself in telling you just how broad the contents of The Bookshop on the Heath are. Every area had something to make me stop and think "I need that book". However it was the science fiction section that finally won my attention. As a fan of the old-ish greats I consider it a very rare treat to find a sci fi offering as large as The Bookshop on the Heath's, meaning it was a joy to dawdle over these bookcases. Even more exciting to me was finding an Arthur C Clarke book I'd not yet read: Childhood's End. Eventually tearing myself away from the books, I made my way to the till and said hello to the booksellers. I then promptly said goodbye because I realised I'd no cash and wouldn't dream of asking to put one book on a card. Thankfully, booksellers are lovely and so they kindly kept my book, provided directions to the nearest cash machine and assured me they wouldn't be closing before I returned. Phew! While I wish the day had been warm enough for that picnic with Rupert, The Bookshop on the Heath was an engrossing, welcoming and relaxing enough environment to ensure I felt no disappointment at a lack of cucumber sandwiches and checked blanket: I'll save those for the day of my return visit. *Or other suitable male, applications welcome.